Another season has come to an end and what a season it’s been. Lots of great games, some lost, some won and several had amazing finishes. Going into the season I was very wary of what standard of cricket we would face. 7 first XIs made me think it would be quite high and we would have to be at our best to compete. On the whole that was true. There were only a couple game we won very easily and a couple we lost easily. Most were very hard fought and every victory was well deserved. There were a few I feel we should have won and although we had a great season, just a little more consistency and use of our brains could have resulted in a couple more wins. Still it was an amazing season and everyone worked really hard and in the end we probably finished where we deserved to, smack bang in the middle. So to the first game and our first new team. Exwick. For the first time ever we had to play a Devon League game on an artificial wicket. I’ll just say that I hope that doesn’t happen again. Not great but we had a strong team and coped really well and came away with 19 points which was a great start. Everyone contributing to an easy victory. I didn’t get to exited though as I expected the standard to get higher. Game two our first home game against another new team. Woodbury. After a shaky start Ian smashed us to a decent total which we defended reasonably comfortably. Two out of two ace. Next was Sampford Peverall away. They were decent, we were a couple short. On a sweltering day we did well but they were a bit better on the day. 9 points from a defeat though was good. Next was two home games. Thorverton and Axminster. Thorverton were dispatched fairly comfortably thanks mainly to our opening pair. James and Webbe, with a few lusty blows from Pete getting us to 270. Then bowling them out for 110. Axminster went similarly with Webbe and James getting us off to a great start as we racked up 280. 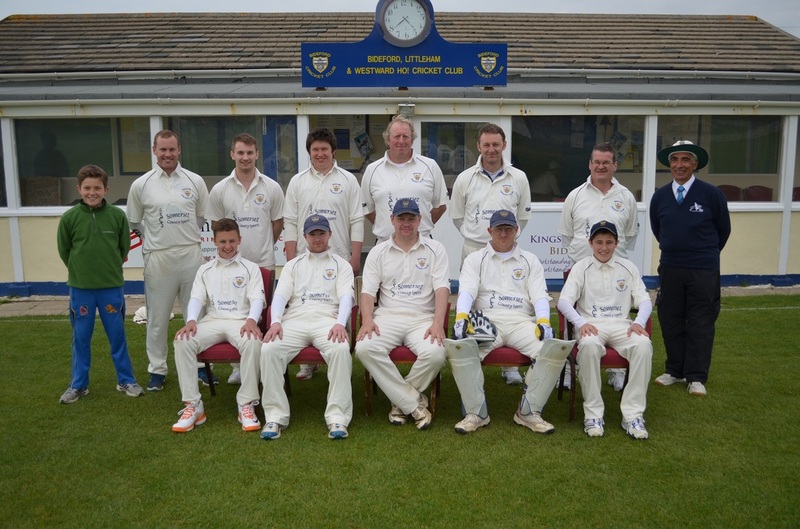 Axminster gave us a little scare though as they managed 260. Now 4 wins out of 5, top of the league. Beginning to think what was I worried about. But then came a run of games against 3 of the top four sides. First Kentisbeare away. I knew it was small but it’s still a shock when you see it. No 30 yard circle straight as it’s not long enough. We batted ok and made 200. But good bowling stopped us getting the 300 we would probably have needed to make it a tight game. They knocked the runs off easily. Honiton away was a nightmare all round. Smashed to all parts for 350 and bowled out for 190 by probably the best team in the league. I was now realising things weren’t going to so easy. Topsham at home was closer but with a couple missing and some dodgy umpiring we lost fair easily. So now 8 games 4 wins and 4 defeats. The final first half game was Ottery away who we had played the previous season. This was a game I hoped we would win and stop our run of 3 defeats in a row. This we did thankfully, thanks to our experienced heads stepping up. Me, Darren, Pete and Chris the main performers in a fairly comfortable victory. Game 10 was the return home game with Exwick. I expected them to be better and they were. But that was the day our player of the season stepped up and made a fantastic century. That helped us win again fairly easily. 6 wins and 5 loses. We were in fifth and that’s where would would remain. Woodbury away was probably our worst game all round. Not an enjoyable day at all. Didn’t perform at our best, I made a couple bad decisions and they weren’t the best bunch we have come across. Those that were there will understand so I’ll leave it there. Defeat though which was disappointing. Then Sampford Peverall at home. We did well to restrict them to 230. We should have then easily knocked off the runs but alas we gave it away. A loss that should have been a win. Our bad luck continued away at Thorverton when the rain cost us an almost certain victory. Then the long trip to Axminster. I’m still in disbelief as to had we pulled that one out the fire. Jack Perham produced one of the great innings. Only 79 but just when we needed it. The dramatics of the last over will live me forever. What young Jim Keates was thinking only he knows. An amazing victory and one that altimately sent Axminster down. Kentisbeare at home was a wet grey day where very few games were played. We did though and should have won but for one batsmen who stood up and made a match winning century and we lost. Another final over game. The following week was League leaders Honiton who had smashed us in the away leg. Batting first at least we wouldn’t get smashed around for 300 plus this time. We did ok against some good bowling to make a reasonable 168. We were doing ok but they were edging to victory at 140-4. But Darren Willcocks and Jim Keates had other ideas knocking over 6 wickets for just 16 runs. Another quite amazing finish. Just shows what we are capable of if we give all right to the end. So to game 17. Topsham away. They were probably slightly the better team but winning the toss and batting first on a shocking wicket was the luck they needed. We worked hard but were beaten easy in the end. Would have liked to see them bat second though. So to the final game, home against Ottery. Nothing on it for us but they needed to win. We were missing several regulars and they added a couple first teamers to help them out. That was the difference in the end. We were 50 runs short of making it a tight game. As I said it didn’t matter in the end and we were quite happy to see Ottery stay up. So the season is over we finished decently in fifth place. 8 victories is decent. And knowing that we probably should have had two or three more shows that we are a good team and on our day can give anyone a game. We won pretty much the games we should have and lost the one against the better sides. So in all we did well and had a great season. This season our batting has been pretty good. Particularly in the first half of the season we managed to score 200 plus on most occasions. We have had several players pass 200 and a handful pass 300 also. We definitely batted better in the first half of the season. I was very disappointed in my effort though. I will be making a big effort to rectify this next season. Chris just missed out on 200 runs with 195. Darren made 236 which is a decent effort and Pete made 245 with 3 half centuries. If only he could have played a few more. I made 277 which is ok but I would have liked alot more. Marten had a decent season make 318 runs. Last seasons top run getter Ian Hayter made 340 which again is good and very consistent. James Hayter was excellent, very consistent and made a great opening partnership with Webbe. 1 magnificent century to go with several other great efforts got him to 408 with an average of 31. A great season from him. But the top man is Andy Webbe. Yet again he was extremely consistent he made 1 century and several fifties. In 12 innings he made 551 runs at an average of 45. When he plays regularly he scores tons of runs and the team always does well. He has been a great help to James and has formed a great opening partnership. He is a big asset to the team , one I hope he will be for years to come. Now for the bowling. We have found it very tough to bowl sides out this season. A combination of better batsmen and rock hard wickets due to the hot weather meant we have struggled. But we have done well.Jim Keates has done well with the opportunities he has been given. His heroics against table toppers Honiton a highlight. James Hayter showed his all round talent with 6 wickets. Rose Ball did a great Job bowling well on several occasions and taking 7 wickets. Cameron Atkinson was brilliant at the start with 8 wickets in 3 games. That propelled him into the first team which is where he stayed. Steve Bond was similar taking 8 wickets and doing well. He probably played half the season for us and the other half for the first team. Me and Gareth took 10 wickets each. We helped out when people were missing. We did ok if a little expensive. Marten Stanbury was our unluckiest bowler. He bowled 118 overs and deserved way more than the 12 wickets he took. That leaves the top 2. Darren and Chris. Darren chased Chris all the way to the last game but came up agonisingly 1 wicket short on 17. He bowled very consistently and was almost back to his old self. That means for the third season in a row Chris is our top man. Another great season. He like Marten deserved way more than he got. His consistency again is fantastic and also like Webbe is a major asset to the team. Mustn’t finish without quickly mentioning Keith Berry who took our only five wicket haul of the season. Now to the fielding. Everyone gave their all as always. We had to field on some not very nice outfields. Topsham, Sampford Peverall and Exwick spring to mind. Josh Stephenson made a big effort. Ian did a great job keeping wicket again on some dodgy wickets. All round we did ok. We took lots of good catches but we also dropped one or two which could have changed games. This year though we were all upstaged by James Hayter who was magnificent. He took several good catches and made countless amazing stops particularly at cover. I remember bowling an over at Ottery where James fielded every ball and he made a couple brilliant stops to give me a maiden over. He was excellent and again is a major asset to the team, hence his player of the season award. It is no coincidence that over the last 3 seasons we have had decent results and decent seasons. A promotion and two good finishes in to tough leagues. It has coincided with several experienced players becoming available and playing regularly. Ian, Chris, Webbe, Gareth, Pete, Marten and Darren make a massive difference. With several of them in the team I go into games knowing we have a chance. They all perform really consistently and are great help to the youngsters. Regularly I would get asked if Webbe was playing or is Chris in this week. If I said yes I along with the rest would be delighted knowing we had a great chance. If I said no it’s oh no we’re in trouble then. So basically they all add so much to the team and help the youngster a lot. You only have to see how well James has batted this year. Nearly all his good performances have come with Webbe at the other end. Just wanted to highlight these guys to everyone and let them know how much they mean to the team. Without them we would struggle. So thanks to them for all the efforts and as I said if they play regularly then we regularly do well. Would now like to thank all the other players who have helped out this season. Mike Ball, Ollie Keates, Tom Stone, Dan Smith, Jack Perham,Matt Parkhouse, Mike Lemmings, Keith Berry and of course Rob Hill If I missed anyone I’m sorry. I appreciate all and everyone whether you play one game or 18. So Thanks. Must now thank everyone who has driven. Once again we have had some long trips. As your aware I particularly appreciate the lifts so thanks to all for that. Must thank Ike, Dave Staddon and Paul for the games that they umpired. Not having one was an issue on occasions. Also thanks to scorer Andy. Sorry not sure of his second name. That’s poor I know but he was a great help doing most of our home games. Then to some of the most important people. The ladies and gents who provided us with teas. All round our teas were great this season and particularly at home. That was thanks to Monica Hayter, Hannah Luxton, Lucy Davies, Pete and Sarah Stevens and Mr and Mrs Ball. Everyone was fantastic so from me and all the players thanks so much. Must thank all those who came down to support us. I particularly noticed it and appreciate it very much. John Luxton wins the supporter of the season award again  Two people I certainly must thank, probably the most important ones from a players point of view. And that’s Andy and Martin who combine to produce a ground that isn’t bettered anywhere we have been this season. The wickets have been awesome as always so thanks for that. 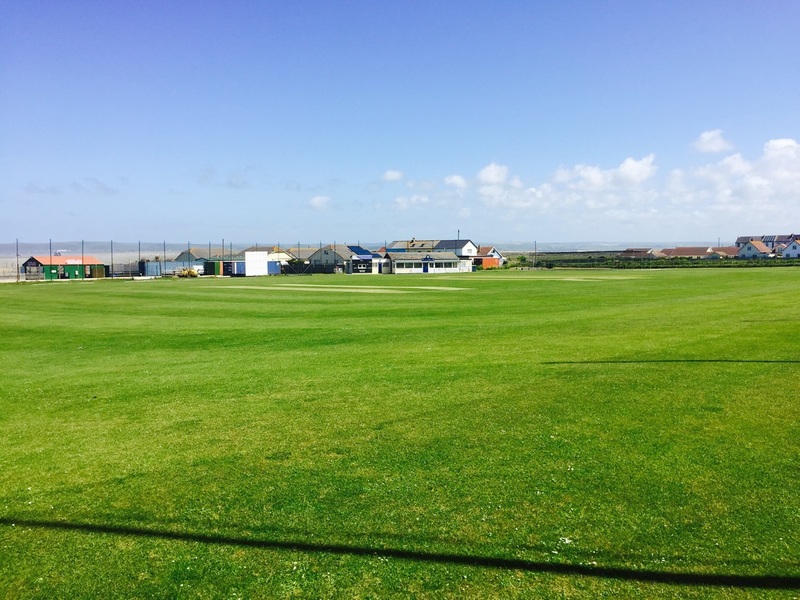 I know all the players appreciate the effort that’s put in and after our trips to Exwick and Topsham I’m certainly very glad to play my cricket at Westward Ho!. So a big hand to them and everyone else I have mentioned who have helped us have a cracking season. One I hope we can improve on playing wise next year. I have very much enjoyed it and I must apologise for shouting at people now and again. It genuinely only because I know we can be better sometimes. Next season will be another interesting one with six new teams. A highlight will playing a Devon League game at North Devon, something I’ve never done. It’s also the shortest away trip ever which again is great news. Webbe can work that day haha. I am very much looking forward to it and hope everyone else is too. Finally we arrive at the last game of the season. Half way through the week I was thinking I’m gonna struggle to put out 11 players. No Webbe, Perham, Keates, Smith, Ball, Stone, Bond or Davies who had gone with the firsts. Nearly a whole team. In the end though thanks to Pete coming back Rob helping out and Julian making his debut we actually put out a decent team. For us it was a game where the result wouldn’t affect our season in anyway. Wanted to win of course but enjoying the game without pressure was a good position to be in. Ottery on the other hand had to win or at least get 5 more points than Axminster. To do that they would probably have to win. This meant they would be up for the game. On losing the toss again we were asked to bat. I opened up with James. After a great season scoring over 400 runs James unfortunately fell in the first over trying to cut a ball that was to straight and was caught at slip. Chis was promoted to 3. It was hard to score off some quite accurate bowling. The left armer certainly wasn’t a regular second teamer. We got to around 30 off 10 before Chris was unlucky to be caught flicking one down the leg side. Josh was given a go at four but played all around a straight one and we were 30 odd for 3. The first change bowler was the tallest person I’ve ever seen. Around 7 foot. Another helper from their first team. He bowled decently and accounted for Marten bowled. 40 odd for 4 then became 5 down when I copied James and was caught at slip. That paired Darren and Julian who both did ok and got us into the 60s. But Darren was bowled and Julian got out caught leaving us at 81-7. With the slight change in the order we still had good batting to come. Pete was enjoying himself smashing the ball around and made a brilliant 50. Unfortunately only Ian managed to support him. With some good bowling the rest fell and we finished up 138 all out. I was a little disappointed that we hadn’t batted our overs. But with nothing on the game for us it didn’t really matter. Thanks to Mrs Ball our final tea was great as it has been all year so thank for that. With Darren pushing Chris for the bowling award I gave both the chance at opening. Both bowled well keeping the runs down. Darren struck first with a catch behind for Ian. Then Chris struck straight after with a catch at mid on for Pete. 30-2. That became 40-3 when Darren took another. Another catch for Ian. When James took a great catch to give Darren his third wicket we had given ourselves a great chance. 49-4. Unfortunately Keith couldn’t recreate last weeks magic going for 30 off 4. Marten and James tried hard but some good batting got them to 106 before Marten picked up the fifth wicket well caught by Darren. Rob and Julian also tried hard but we didn’t have enough runs to defend. With 10 overs left we were at least 50 short of a competitive total. With players missing and the odd changes we didn’t quite perform as we can. So a final day defeat but a decent season in the end. Man of the Match today goes to Pete for another entertaining 50. If only he could have played a few more games. Still well done mate. Thanks to the guys who helped out and to everyone for the effort. Big thanks to Ike for umpiring and of course Mrs Ball for the great tea. As I said we have had a good season, with lots of close games. Which we have been on both sides of. Must say well done to the first team for keeping themselves in the A Division. A great effort. So that’s it for this season. A final review will follow soon. 1:30 Start. Meet 12:30 the Ho! 1:30 Start, meet 12:30 at the Ho! Somehow on a horrible day weather wise we were able to get pretty much a full game in. One of very few in Devon. The forecast of rain all afternoon influenced their decision at the toss to bowl first. There is no way they would have bowled normally. So that was our first piece of bad luck. With a little rain at the start the game was reduced to 44 overs. James and Webbe braved the rubbish conditions and opened the batting. It pretty much drizzled on and off for the first hour. But thanks to a blossoming partnership between Webbe and James they were able to get us off to a great start. Some good tight bowling at the start was seen off well and then they took advantage once they had got themselves in. Webbe got going first but every time he pulled away James would smash a four or too and catch up. One point from memory was 6 fours in 7 balls. Three each. Their partnership passed fifty and then 100 in decent time. Unfortunately Webbe eventually skied one for 62 runs with the score on 107,but passed 500 runs for the season in the process which is a great effort again from him. Rose joined James. After riding her luck once being dropped on the boundary she tested it a second time but wasn’t so lucky and was caught. Matt Parkhouse didn’t last long making just 2. Ian joined James who by now had passed fifty. With 125 at drinks I was hoping we could double it by the end. But when Ian skied one and was once again caught by the same guy as the rest their Captain I was a little concerned.Marten played some good shots but was out for 14. The overs were ticking by and the runs were harder to come by for the new batsmen. Webbe and James had got themselves in so found it easier. A little lesson for the rest there I think. I joined James who with about 9 overs left needed 30 for a century. But alas he was caught out on 80. Still another great effort which had got us to 200 and him to 400 runs for the season which again is a great effort. With just 3 overs left I was caught on the boundary, Stevie was run out and Gareth was bowled. Chris hit a late six to get us to a decent total of 221. Would have like 20 or 30 more after our good start but reasonably happy at tea. Tea was awesome as always thanks to Mrs Luxton. All afternoon I was expecting it to rain at some point and end the game. It seemed to be raining all around but never over the ground so we had to continue on. Me and Chris opened up and both did well. I surprised myself a little managing to bowl my nine overs for 29 and a wicket. With Chris you probably know what’s coming. 9 tidy overs 3 great wickets for just 26. Could almost copy and paste that sentence onto every match Report. Another great effort from him. This meant that they were four down with around sixty on the board after 18. There was a few bits of luck for the batsmen also which could have made it even better. Marten once again bowled a good spell just can’t seem to pick up a wicket. Perhaps he should pray to which ever god he believes in before he goes out to field James bowled a good spell as did Matt but some good patient batting got them to 150 before another wicket fell. Webbe picked up an LBW and then a catch from Chris to give us some hope. But one of their openers was still in and frustratingly kept punishing the bad balls that we bowled.He passed 100 as they closed in on our total. James managed to snare him LBW but with 219 and one over left it was pretty much over. With no miracle last over we lost by 3 wickets with 5 balls to spare. A good game on a crap day. A little more luck somewhere and we may have won. Missing Steve, Jack and Darren who all would have bowled didn’t help. But we made a decent effort and picked up 8 points.The Man of the match award can return to the Hayter household. James batted great again making 80. Just a shame he couldn’t make the century. Brilliant mate well done. Everyone else made the effort as always so thanks for that. Next week is Honiton who will be very tough but if we play well you never know. Must thank Ike for umpiring, appreciate that and of course Hannah for the always excellent tea. Thanks again to all for the effort just 3 more and we are done. As I hope your all aware this Saturday there will be a bbq after the game so as always all and everyone invited. Really hope lots can come. I will probably venture into Appledore after as well so if anyone fancies joining me that would be great. I do have a request though. Due to me playing I quite probably wont be finished til after 7:30. So I’m currently down on one knee begging if anyone could help me out by starting to cook some food about 6 to 6:30 just until the game is over then I will take over. Any help massively appreciated by me and I will forever be in your debt. Thanks in advance. Either way hope to see you all there. The dreaded Axminster away. The Long winding road to Axminster took around 2 hours and due to several hundred new houses we took a couple wrong turns before eventually arriving at around 1pm. This meant several team mates were already there and had, had a peak at the wicket. With not very many complimentary comments. One from memory being that it was a good way to save money on diesel by not mowing half the wicket. This basically lead me to think bowling first was the way to go. All the way down I was adamant we should bat. But as is with me I made the decision to bowl first when winning the toss. We had a decent side so I thought we would do well whatever we did. So to the bowling. Jack and Chris opened. Both did ok as did Rose and Steve who took over. But with two decent batsmen at the crease who were running well we couldn’t take a wicket and the runs were racking up. The out field wasn’t great and a few miss fields cost us a few runs to. Finally though with 130 on the board they took one risky run too many and Chris was able to punish them by running out the son of the other batsmen in who was as expected disappointed to have BBQ’d him. That brought their captain out who was able to keep the runs flowing with another 100 partnership. Marten and Darren again bowled well but couldn’t pick up a wicket. Chris was able to stem the flow of runs a little though as was Rose who got a deserved wicket near the end. A great catch from James gave Jack a late wicket also. But unfortunately that was it for wickets. 265-3. It was tough and swelteringly hot but we weren’t at our best. Combined with some good batting we had a tough total to chase. Although at half way I was expecting 300 to be racked up so it could have been worse especially with only 3 wickets taken. Teas were good and out to bat went James and Webbe. Both did well and were getting themselves in. Just before the first drinks brake Webbe hit one straight to square leg and was well caught for 26. I joined James, hit two fours and was then bowled. Rose did pretty much the same and was also out. Around 100 for 3 now. James was still going well and was joined by his dad. James was doing great until he was given out LBW. A little unluckily in a lot of opinions. That partnered Ian with Jack. The second drinks was taken at 30 overs. With the score on 116, we were well behind the rate. With 10 an over required something amazing was going to have to happen. Amazing was certainly a word I would use for what happened next. I was hoping we would at least pass 200 and gain our maximum batting points. Both Jack and Ian batted well. Ian gave Jack most of the strike and boy did Jack make the most of it. He hit several fours and some huge sixes. Virtually every over there was a six or a four.7 overs to go 84 still needed. 5 overs left 55 needed. Some awesome hitting particularly from Jack kept the rate needed around 11. More great hitting got it down to 26 off 3. Jack was then caught for a magnificent 79. He had given us a great opportunity, just a shame he couldn’t finish it off. With Ian still in on 40 and batting to come I was beginning to think we could win. Marten joined Ian but could only manage 2 runs before getting out. Darren then joined Ian . Ian had been brilliant and with 7 balls left we need 12 runs, Willcocks on strike. Jack had hit some huge sixes all massively important, but Darren hit probably the most important one. The timing and execution of the shot was perfect. A brilliant shot for 6. That left 6 required off 1 over. I was extremely confident with 4 wickets also in hand. But in the past I have witnessed a last over wicket maiden when the score were level, so there was still a little worry. First ball, probably should have gone for four or at least a single, was hit straight in the air to cover, Ian out Now getting very nervous, but still Chris walks out and with Darren the other end surely we can make it  when Chris smashed his first ball for four, I thought surely that’s it. Next ball he grabbed a single and the score was tied. Brilliant from Chris. Now Darren just finish off. 1 off 3 easy Darren chips one straight back to the bowler and is caught and bowled  surely we can’t blow it after all the effort already made. Steve batting at ten showed how deep we batted but u wouldn’t have thought that when Steve played his first ball. Well he didn’t play it. He swiped at a full straight delivery and was bowled What were we doing. Our greatest victory was becoming our greatest Ballz up. Young Jim to the crease. Picture the scene. Last man, last ball, one to win. Every fielder within about 10 yards of the bat. I would have been bricking it. What he was thinking only he knows. It was a very strange moment watching it. Almost an anticlimax. Had we won. Would you believe it a leg side wide朗 WOW we had won probably the most dramatic game I have ever witnessed. I witnessed some strange finishes before, the wicket maiden being one but for me this has to be the best. Dead and pretty much buried alive to winning on the last ball with the last man and having lost three wickets in the last over. I can’t find the words to describe the feeling when we had won. We probably weren’t as exuberant as I hear the first team were. Our ageing team and in my case the disbelief that we had won, probably factors but also in my case utter delight that we were finally able to show what we are capable of. Man of The Match can only go one way. Jack Perham was spectacular. The timing of some of his shots was awesome to watch. He is a fantastic all round player and he showed us what he can do with the bat. We are extremely lucky to have him come back each year and play a handful of games for us. Each time he does he helps us massively. And this week he almost single handily took us to a most amazing win. Will say though that he needed a little help along the way from team mates. Everyone worked hard in tough fielding conditions. Thought Rose and Chris stopped them getting close to 300 at the end, by bowling well. James and Ian Hayter both batted great, with Ian supporting Jack brilliantly. Then Darren with his magnificent late six and Chris again an all important calm head in the last over. And must mention Jim who probably had the most daunting job of all facing the final delivery. So well done to everyone on a most spectacular day. Jack you are a superstar and I along every other member of the team appreciate the effort you make for the team and also won’t forget the memories of this game for along time to come. A top cricketer and top bloke, and can say the same about everyone else too. Except Rose of course who’s a top woman. Thanks once again to all for the effort made and particularly those who drove. I as always appreciate it massively. This victory pretty much secures our safety in this league barring any outrageous events. But still there are four games to go so I expect us to make four more decent efforts. We have some tough games coming up but to be fair, every week pretty much has been tough. We should be able to secure 200 plus points now which is another great effort in my opinion. I’ll say once more thanks to all for all the effort and let’s push right to the end. My birthday bbq is on the 18th of August after the home game v Honiton. All are welcome to help me celebrate whether playing or not. Hope to see many of you there. When I think things can’t get better , I get to be involved in a game like this. This is why I and probably most others play the game for epic days like that. Up the bid and good night. It’s 1:30 am id better go to bed. So a trip to winless Thorverton. Most of the way the weather wasn’t looking good. But the closer we got the better it was. On arrival it was fairly dry and they hadn’t had much rain. The forecast was for it to come in later so when winning the toss I opted to field first. Chris was his same self bowling through his 9 overs for just 18 and picking up a wicket caught behind by Ian. Rose opened also and did well but no success wicket wise. James took over from Rose and bowled a great 5 over spell for just 9 runs. But alas still no wicket. The score was ticking over around the 3-4 mark throughout their innings. Marten did his usual 9 overs for around 30 runs. A couple of rain breaks chopped off 4 overs each. Tom Stone bowled a good 5 over spell and picked up his first Devon League wicket. Gareth did well in his 3 over spell picking up 2 wickets. Rose also picked up a late wicket. We struggled to take wickets but they could only manage 4 an over so 172 was in my opinion a very gettable score. After tea Webbe and James opened. Everything was going to plan and after 6 overs we had 48. 84 was our 20 over target if the rain came. Unfortunately it did come about an hour to soon. Some may have seen Chris’s posts on Facebook which showed a big downpour for around an hour. This unfortunately ended the game and any hope of victory. 9 points wasn’t what we wanted but due to our great first half of the season we are still in a reasonable position League wise. We will still need to put in a couple more decent performances to guarantee our safety. Everyone did ok but due to the unfinished game I’m not gonna give Man of the Match. Just say thanks to all for the effort and without the rain interference probably another victory. Must also thank Paul for his stint umpiring. Makes things so much easier having an umpire. And also thanks to all who drove. Next week is AXMINSTER away. Not the nicest of trips but if the above team is able to take the field we should have a decent chance. The middle part of our season hasn’t been brilliant but let’s make the effort to make the last third a good one. There are some tough games coming up but if we all can commit and perform well we will always have a chance. 1:30 Start at the Ho! In the away game against Halberton I thought we did quite well. They were the better team but I thought Steve Bonds bowling and Andy Webbe’s batting may have made the difference. So when I was able to pick a side with both them in, along with Jack Perham and the usual regulars, I was quietly confident we had a great chance. Over the last few weeks we have had lots of bad luck with injuries and niggles. Gareth and Ian seem to have permanent ones but soldier on every week. Me, Darren and Chris have picked up an injury which has stopped us either batting or bowling. So after playing as a bowler and not being able to offer much batting, Chris finally had step down when injuring his knee, meaning this time he couldn’t bat or bowl. Fortunately this week I had several options, so at 10am I started my search. Would you believe it. The first phone call was successful and Ollie Keates was in. So big thanks to Ollie for that although it apparently got him out of gardening so he maybe owes me and Chris one for that so into the game. It was a very hot dry day again, although there had been some over night rain. You wouldn’t have known though. My winning the toss streak coincided with our run of good results. My losing the toss streak has seen us lose a few. So on losing the toss again I was asked to field. All our wins so far have come batting first With Jack and Steve we still had a decent opening pair. Both did great early on and kept the runs down. Neither was able to take a wicket though and once in one of there batsmen started hitting some big shots. With Darren replacing Jack, he felt the rath with three sailing over the nets into the road in one over. Finally he learned a lesson and bowled a short one which he miss queued to Webbe at mid wicket for 48. That was a massive wicket for us. The other opener was still in but wasn’t scoring quickly at all. Marten has taken over from Steve and bowled a great spell. See Mart I do praise you now and again haha. Only 26 runs from 9 overs. Just a shame no wickets to go with it. If only Josh could catch Due to my injury, no Chris, Rose or James Hayter, Webbe had to step up and bowl a few overs after Darren. Darren had picked up a second wicket caught by Webbe on the boundary. He was a little expensive but after his first two overs brought it back well. Webbe did great bowling 5 decent overs. Gareth literally turning to spin did great also. Picked up two wickets. With a bit more practice he could do a great job for us. Steve and Jack came back to finish off the bowling. Steve finally got some luck with two wickets and of course they were both bowled. Jack conceded a few late runs which got them to 232-7. A good total but I thought only just par. If we bat well and bat ALL our overs we would have a chance. With the line up we had with only James missing I was confident. One other thing that we have struggled with is bowling teams out. The wickets are generally good so that makes it hard, but we have been bowled out several times. Holding all our chances and a little more discipline may help too. With Chris umpiring and Andy scoring it was great not to have to worry about those jobs. Thanks for a second time to Mrs Hayter we had another excellent tea. So with James not available I had the job of partnering Webbe. After a couple overs I said to Webbe that there wasn’t to much to worry about, just bat the overs, punish the bad balls and we will be fine. A wide and a four ball most overs was ticking the score along at the rate required. Just keep wickets in hand. Webbe clipped one to mid on and was caught. Disappointed but still plenty to come. Jack was next. Had the same conversation with him.4 or 5 overs went by. Again the odd wide and the one four ball an over was punished, great. Then a carbon copy of Webbe, Jack was out caught Anger was building but I was still confident. Pete strode out. Now I have seen this before so wasn’t to bothered when he put his first ball over the rope for six. I shouted well done but remember there are 35 overs to go. This I kept doing for the next 3 ball which all went for 4. Knowing Pete I was convinced that unless he used his brain this couldn’t continue for too long. 18 runs from four balls then the inevitable, caught mid on all in one over. Now the blood was really boiling. Surely I’m not the only one with a brain. If the bowlers were getting us out understandable, but no we were getting ourselves out. When Marten decided to try smashing one through cover and nicked behind, I thought my head was gonna explode. We had plenty of runs at the time. To be fair to Marten it was a good catch and the young spinner was turning it well. But four of our better batsmen had given their wickets away. Still hope though with Ian next in. He was able to do what the others couldn’t and wait for the bad balls. Together we ticked along nicely for a few overs and things were getting back on track. The young spinner was causing me and Ian a few problems though and I finally pushed to hard a one and was caught at short cover for 34. Before I could finish my shower Darren was out stumped. Gareth scored a few with Ian but was another one out caught. When Ian finally succumbed I thought that was it. Steve hit a few good shots but needed help. Unfortunately there wasn’t much left. Josh was left not out when Ollie decided to take a run without indicating to Josh this fact. Halfway down he realises he needs to get back but is a yard short. 190 all out and 5 overs left unused. Must apologise for my poor attitude after the game but was just gutted to lose when we actually had the better team. They didn’t beat us we beat ourselves. Without to much we could have won reasonably comfortably. Our top 5 need to use their heads a bit. As I said the young spin bowler they had did well but see him off and there would be plenty to be had from the others. If only we could play well and use our heads more. The last two defeats in particular have been hard to take. Yes we’re only 2nd teamers but you don’t need much ability to stop and think for second. Still I accept everyone made the effort so thanks for that. If I can win the toss and we get some good luck with the injuries we can still win a few and have a good season. Man of the Match? Probably gonna go with Steve Who did a great job bowling, fielded well and batted ok too. A good all round performance so well done to him. The bowling was good, as they had some decent bats. Even after our early collapse we weren’t far away so it just shows what we could be capable of. Next week is Thorverton away. Let’s not be their first victory of the season. Thanks to Chris for the umpiring, Andy for scoring and anther great tea thanks to Mrs Hayter. Must thank Ollie for stepping in last minute. I will also thank all the players for the effort, but just please stop and think now and again. I’m not expecting miracles, just let’s try and make the opposition beat us rather than give it to them on a plate. Ok so I have had a beer, no 4 ciders before writing this which probably means I'll be a bit more honest with my opinion of yesterdays game. It was another glorious day and we had a reasonable team. Although we were missing a couple we had two debutantes in Dan and Tom. I lost the toss which was the first piece of bad luck during the day. And was asked to field. On a scorching hot day this was going to be tough particularly when having to chase a total. Chris was once again was his magnificent self taking two wickets bowled early on. Unfortunately a dropped slip catch would cost us 88 runs. Sorry Webbe. Rose opened to and did a good job. Keith did ok replacing Rose but couldn't manage a wicket. Next came our second piece of bad luck when Darren held a catch but slipped and hurt his side which meant he did a Gareth and only managed 3 overs.Again sorry Gman couldn't resist haha. Marten Stanbury did great but was a little expensive. He picked up two wickets though which was good. A couple other drops didn't help us. It was tough fielding on not a great outfield but I do think we lost a little concentration late on. Then my dilemma came. Do I bowl or do I let Dan and Tom Bowl. I went for the Dan and Tom option in the end. My thought was that bowling 9 overs then opening was not only beyond me fitness wise but would make me feel guilty bringing two debutantes and not give them a game. Probably contributed to us losing but as we are probably safe I stick by my decision. With them making 281 I was disappointed but still had hope if we batted all our overs. Normally I don't comment much on the umpiring but first u can ask Chris about his LBW. Apparently it pitched outside leg stump. 6 inches outside off stump is obviously the new leg stump. Then as I bowled what I thought was the last ball. It was given no ball. Apparently Keith made the mistake of being outside the ring. Supposedly he did this twice. With no line he must have had a great eyesight as it can have only been an inch or two. He did though manage to lose this magnificent eyesight when it came to us batting. Tea was ok and as I said I went out to bat with Webbe. We did a good job and got us to 42 off 8. I then decided to leave one which was very close to the stumps. When it bounced off the keepers gloves and then back on to the stumps, I thought they were appealing for a stumping but actually it was bowled. The umpire conveniently didn't see it hit the stumps but was still able to give it out. So as u can guess I was in a great mood as I walked off. Rose then joined Webbe and did well but was caught behind on 16. Gareth only made 7 but Marten made a brilliant 45. He and Webbe were looking like knocking off the runs. But unfortunately both were out caught when going well. I'll quickly mention there fielding. Genuinely he made a good stop but when your body rolls over the rope by a foot that to me is a four but apparently not. Another one conveniently not seen. And apparently we are a bunch of ****suckers for not agreeing. Anyway back to our batting. Ian made 19 but the rest struggled and we fell short by 49 runs. We didn't field great, the bowling could have been better and we did well batting but missed out in my opinion. Darren not being able to bowl, me not bowling and some dodgy umpiring contributed to us losing. We didn't play well but were still the better team. Batting first we win. Steve and Pete play we win. I was gutted to lose, but more gutted in the way we lost. My bad decisions, umpiring and bad luck all contributed. As for them bowling beamers and bouncers at Dan who's 13 and the way they got him out, well what to say. Swear words probably but I wont. They obviously needed the win more than we did. I really hope we don't go there next year and thanks to Ottery winning we might not. If we do then I will certainly be up for that one. I'll stop there and go to the Man of the Match. Webbe was the only one to stand out so well done to him for 81 more runs. Dan did great just a little unlucky. Rose bowled ok as did Marten, Tom and Keith. We had the better side, just didn't perform as we can. I cocked up and luck went against us. Thanks though to all for the effort it was great as always. Next week is Halberton home. With a full side out we in my opinion have a chance. Even though they are top. We are definitely better in home games, so i'm confident we will do well. Thanks to our effort so far i believe we are safe from the drop. But I still want to win as often as possibly. Thanks to all for the effort, all who drove and those who helped out. Next week will be tough but we are more than capable of pulling off victory. I for one will be trying my up most to achieve this. Lets forget this weekend and move onto next. I will be begging the committee to provide us with a regular umpire. Hopefully they will help us out. Thanks again, see you all next week and just a reminder that my Birthday BBQ will be on the 18 of August and of course Bideford 2nd XI are the greatest. Plus as sad as it is the film True Romance is awesome. So I do recommend watching it. It was obviously on while I was writing this epic match report. Can't find the two fingered emoji so i'll let you imagine its there. So the second half of the season starts. If we can perform as well as the first half we would have had a great season. 5 wins so far and I was hoping for at least 5 more. So Exwick at the Ho! A slightly different experience. Wicket was a road on a boiling hot day. I finally lost a toss, but amazingly they asked us to bat. Maybe chasing down 287 the week before for their first win swayed them. Webbe was back so he partnered James. We got off to a lightening start, 30 off 4 overs. But alas webbe was bowled for 13. Ian joined his son but only lasted a few balls. Caught behind for 4. Rose and me both then perished for ducks which put us in massive trouble. 60-4, not good. Gareth was also back so he went out to join James. Gareth hit some great shots and along with James also hitting a few good ones, the score was racking up. 121 at drinks was brilliant. Unfortunately Gareth was bowled for 31. Steve was another one back after a stint in the first team. He carried on where Gareth left off. Helping James to keep the score moving. James was going great and passed 50 for the first time in the Devon League. But he didn't stop there. He continued on and on. Steve was finally out for 31 LBW. I thought James was going to carry his bat. He smashed a four to bring up an awesome century. One of many i'm sure. A great effort and as big a roar from the crowd as when England scored. With just 3 overs left he was out caught on the boundary. Chris, Ollie and Josh got us to 246-9. In the end an awesome effort mainly thanks to James but helped out by Gareth and Steve. So with England 2 up it had been a good first half. Lucy Davies produced our regular awesome tea, so thanks for that. Out to field we went. This week Rose opened with Chris. They both did a good job and managed to keep the runs down. Chris took the first wicket bowled. Steve took over from Chris and did an excellent job taking two more wickets. Unfortunately Gareth broke down after 3.2 overs which meant I had to step up. Their Aussie was getting going and was feasting on some of my bowling. When I finally managed to bowl him I was particularly delighted. They were now 142-4 and still in with a chance. But superstar James came on and took 2 wickets for just 16 in 6 overs. Not a weakness in sight. I managed a second one also and this is were I thought we were safe. Steve came back and picked up a third. Rose came back and picked up a wicket which left Jim to finish things off. Another plus was they got stuck on 199 as we had done in the reverse fixture. On such a hot day I was exhausted but ecstatic at the same time. I expected it to be tougher and it was. With our experienced heads stepping up last week it was brilliant to see our younger heads stepping up this time. Everyone made a top effort but James Hayter was magnificent and is easily Man of the Match. He is our best fielder, a great batsman and who'd have known a great bowler too. A massive asset to have in the team. Everyone else helped out though and without that team work we wouldn't have won. Sometimes though a bit of brilliance makes the big difference and today James stood up and delivered. Well done to him. Thanks to Chris and Gareth for going through the pain barrier and everyone else for the effort. Thanks to Andy for scoring, Ike for Umpiring and Lucy for another awesome tea. A quality day all round. 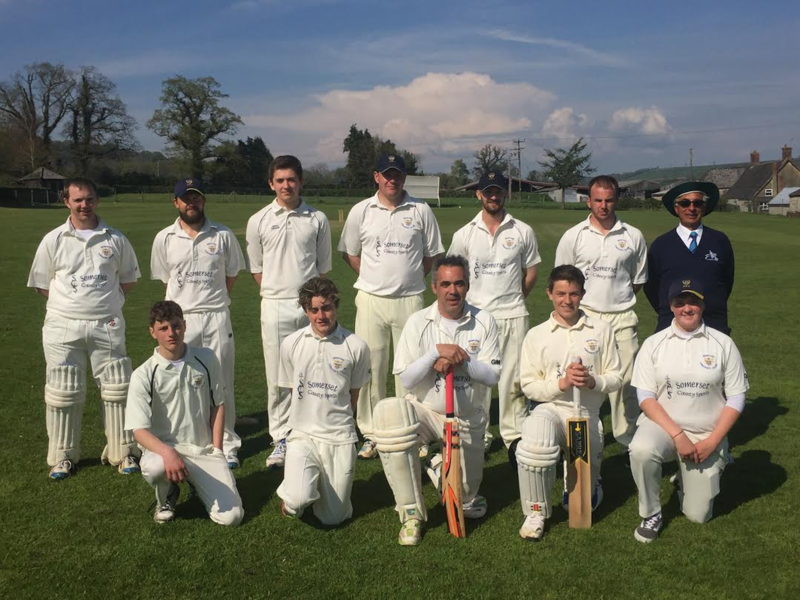 The sun shone, England won, and Bideford 2nds won their 6th match of the season. Thanks to all for the effort as always. Our excellent season rolls on. Another great day to be beside the sea. Up the Bide. Thanks to Mike Ball stepping in last minute we had 11 players for what I thought was a big game for us. One that I thought we had a good chance of winning if we worked hard and played well. It was a glorious hot day. Maybe a little to hot. For the 5th time in a row I managed to win the toss and decided to bat again. We have done well batting first up to now, passing 200 on 6 occasions. I opened the batting with James. James was excellently caught at first slip and Ian was then caught at mid off. When Rose was out LBW we were 32-3 and in a little trouble. I was joined by Darren who did a great Job. Between us we managed to tick the score along with a little help from their bowlers. We got passed 100 and most importantly kept wickets in hand. I struggled a little in the middle to score but probably got out just at the right time for a patient 37 runs. That sent Pete out to join Darren with around 14 overs to go. Unfortunately Darren was bowled on 41 soon after. Pete was joined by Chris who did an amazing job with basically one hand. He blocked or flicked singles to give Pete the strike. Pete did really well also, smashing plenty of 4s. He passed 50 and the team passed 200 which was a great effort after our start. Their partnership of 68 was brilliant and hopefully a match winning one. A handful of late runs from Ollie and Mike meant we finished on 221. After the loss of early wickets several stepped up and got us to a decent score. After tea we had the tough job of fielding in the heat. No wind meant it was really hot. Me and Chris opened the bowling. Both did a good job, but did bowl a few wides. Chris picked up the first wicket really well caught at slip by Darren. I then picked up a wicket. Can't take much credit though as Chris took a stunning one handed (left handed) catch at gulley. Little pieces of brilliance like that can change games. Rose and Darren took over and did well. Rose took a very sharp caught and bowled which kept the pressure on. A great piece of fielding from Ollie along with confusion from the batsmen resulted in a run out for the fourth wicket. James took over from Rose and did great picking up 2 wickets in his four overs along with Darren picking up a couple also. One of their batsmen was going well as he passed 50. He just needed a partner to stay with him for a while. With the ninth wicket falling on 128 we were in a great position and hopeful a quick end. The final pair batted well though and we gave up a few extras. But finally Rose picked up the final wicket with probably her worst ball. Another catch for Lux. So Ottery finished around 170. On a hot day we produced a brilliant effort with everyone contributing to our fifth win of the season. With a full team out I'm convinced we could have had a couple more victories. Firstly I like to say thanks to all the players for the great effort again. And also to apologise for getting angry on occasions. With everyone doing so well its tough to pick a Man of The Match. But I have managed it because one person does stand out. The score book won't make him stand out from the rest but just the fact he turned up and played stands him out. Chris Luxton's commitment to playing is amazing. His stunning one handed catch to go with two other good ones. Not to mention the batting with one hand. His 68 run partnership with Pete was a match winning one. Two valuable wickets for few runs as well. Chris's effort and commitment are brilliant and I particularly appreciate it. The seconds are extremely lucky to have such a player. But we are even luckier to have a whole team of of committed players who put in the effort every week. Quickly I'll mention a few others. Mike, Ollie, Stevie and Jim worked hard and contributed to a great win. James showed his all round ability with a couple of wickets and once again excellent fielding. Darren and Pete both batted well. So in summary an excellent effort, an excellent result on an all round excellent day. Thanks to all for the effort, particularly Chris. Thanks to Mr Smith for umpiring, was a great help. And thanks to all the drivers. Next week is Exwick at the Ho! Another game I'm hoping we can win. If the effort and commitment is the same there is no reason why we can't win for the sixth time. Bideford 2nds are the greatest. 20 points Boom. Sorry for the lateness of this. Hopefully I can remember what happened. The one thing I'm definitely remember is the heat. On a roasting hot day I actually won the toss and decided as usual to bat first. We didn't get off to the best of starts thanks to our good friend Steve Bond. You'd think we know what he does by now. Although knowing and then dealing with it is another challenge altogether. 4-7 off 5 overs saw James Greenleaf, Jack, Martin and Ollie back in the pavilion. James Ford though managed to see him out and start the scoreboard ticking. Me and Stevie couldn't help much but he found a decent partner in Keith. Together they got us past 100. When James miss timed a pull he had made 52. Cameron helped out a little making 15 but the inevitable happened and we were eventually all out for 157. An ok effort but probably not quite enough. So it was all down to Paul Heards house for what was yet another excellent tea.To stand a chance we would have to bowl particularly well. With no keeper James Ford took it on. Jack took an early wicket but me and then Martin got slightly smashed about by Lemmings and Bond. Had they carried on we probably wouldn't have heard the end of it. Fortunately Martin got angry and bowled a quick straight one which knocked out Mike's middle stump. That started a collapse which was mainly due to the excellence of Cameron. 3 wickets in an over and 4 in 7 balls got us right back in the game. Pete McMillan bashed a couple of sixes which made things tense. Jack snapped up the other batsmen and with 18 needed and 1 wicket remaining, Cameron pounced for his 5th wicket and ended the game. A great effort and another Sunday win. Man of the Match goes to Cameron who bowled great and batted ok too. James and Keith batted well giving us something to defend. Some good catches helped also but Cameron was the difference in the end. So well done to him and thanks to all for the effort. 4 wins in 5 is a great effort. 1:30 Start. Meet 12:30 at the Ho! After two weeks away we finally get to play another home game. Topsham are another first team so once again not sure on the standard. On a glorious day at the Ho! I managed to win the toss for the fourth time in a row. This time I didn't make a mistake and batted first. With Webbe away I took on the job of opening with James. When one of their bowlers marked his run up out it started from the 30 yard circle. Not something you see that often in the seconds. So yes he was rather sharp. Me and particularly James managed to see out his opening 5 over burst though which was good. But unfortunately as is the way James fell to the first change bowler. So 28-1. Pete came in at three and was going well till he spooned a catch and was out for 19.Chris was next just before drinks. I was bowled just after frustratingly after doing all the hard work for 30. As I was changing Chris took one on the wrist from their opener on his second spell return. Unfortunately it meant he couldn't continue. This was a big blow as he was just getting himself in and he was unable to return. This put Marten and Ian together. They were going great and looking like getting us above and beyond the 200 mark. Ian though was caught behind on 23. So next was Keith who did a great Job supporting Marten who was smashing plenty of fours. Keith hit shot of the day smashing one over cover and over the pavilion for 6.He fell though on 176. They then bought back the opener to finish things off and this he did well. Far to quick and straight for our tail end. All out for 190 was ok but I was worried 30 or so not enough. Marten did great though to get us to this score with 56 vital runs. With a few players missing we had done ok. I was just frustrated at knowing what might have been. Still we had given ourselves half a chance. That was on the proviso that Chris was able to bowl. So at tea it was fingers crossed. Tea was again excellent thanks to Mrs Hayter. In a bit of pain Chris gave bowling a go. Only he would have known he had an injury. He bowled as he always does. I opened with him due to a lack of options. I did ok but between us we couldn't take an early wicket. We finally got two in quick succession. One each. Marten took over from me and Keith from Chris. Marten bowled a good spell and should have had a wicket!!! Won't say too much about the umpiring but giving a wide when the ball is driven through cover gives you a idea. And yes that's exactly what happened. Keith was a little expensive so James took over and although he went for a few also he picked up his first Devon League wicket. Jim and Dave both tried their best as Topsham edged towards our total. They did only what they needed to which was bat out overs waiting for the bad balls. Dave picked up a late wicket but they got there with 3 overs to spare. As I said earlier another 30 or 40 runs would have made things interesting. Their main batsman was out stumped and not give which would also have made things tighter. Still with the players we had missing I thought we stepped up reasonably well. Had Chris been able to bat properly again you never know. Had Pete or Ian survived a few overs more, just maybe. Everyone gave there all though and I thought we did well. They were a good team but with a full side out I believe we have enough to maybe beat them so lets hope we do in the away leg. Man Of The Match goes this week to Marten Stanbury who batted fantastic. Had a couple main batsman been able to stay with him a little longer we could have pushed 250. He made a great effort as always and bowled really well without any luck. So great effort mate well done. But well done to all. We made it a real tough game and on another day things could have gone differently. So thanks to all for the effort, appreciated as always. Thanks to Andy for scoring and once again an excellent tea from Mrs Hayter. Now comes our run of games where I believe we can win and make some decent points. If we can put out reasonable sides and put in the great efforts that we have been I'm convinced we can do well. I as I hope everyone will, will give my all to make this happen. So in summary, although it was disappointing to lose I was delighted with effort. So for a final time thanks to all for that. And still a great day to be beside the sea. Our fourth North Devon League game was home v Petrockstow. Selection was easier this week but I was still a little disapointed at the lack of first teamer's being available. I won the toss and decided to have a bat. Me and Ollie Hannam opened up and we got off to a rapid start. 80 off the first ten was excellent and a massive score was looking on. With the score on 92 I nicked behind for 39. Ollie was going great though and quickly passed fifty. James and Fred didn't last long, but Ollie was going on his merry way. Unfortunately he was caught on 85. 145 on the board and plenty of overs to go. Martin and Josh put on a great partnership. Josh made 31 and Martin 52 which got us to 223. The last few got us to a final total of 255. A good one but a little short of what i was expecting at the start. Tea was once again fantastic thanks to Beth Keates. With rain in the air we were going to have to get lucky to get the game in. Fred opened with Jim and both did ok picking up a wicket each. The runs kept coming though. Keith and Dan carried on and did well but still the runs came. Keith got one though. Martin and Ollie came on and probably made the difference. Martin was great taking 2 wickets in 8 overs. Although Ollie got smashed around a bit he picked up two vital wickets. It was getting close but they were always just behind the rate. Me and Matt bowled the last few overs. We both picked up a wicket with mine finishing the game off. We had won by 33 runs. Everyone made a good effort in tough wet conditions. We dropped a few catches which made things harder than they should have been, but we did what was needed and won which was the main thing. Man of The Match goes to Martin Stewart who batted great again and also bowled really well. His quality shone through. Well done to him. Ollie and Josh also batted well and everyone bowled and fielded well. Another great team effort again. So thanks to all for that. Thanks to Andy for scoring and Beth for the amazing teas. Next week is an interesting one against Beaford. Hopefully it will be a good competitive game. 3 wins out of 4 is a good start. Lets try and keep it going. So game 7 was another away one this time at Honiton. On winning the toss amazingly for the fourth time I made the decision to bowl first. Probably looking back should have stuck to batting first. So Chris and Gareth opened and Chris was his usual magnificent self. He took the first wicket bowled and bowled through his overs for just 25 runs. Unfortunately Gareth struggled a little. Their opener took advantage of the short balls and had 50 out off the first 58 runs. Richard managed 8 good overs for 34, but after that it was a massive struggle. We dropped a couple of catches which maybe would have made a difference, but the batsmen were decent and kept the scoreboard ticking over fairly quickly. Me, Rose, Marten and Jim tried our best but couldn't stop the runs. I did manage 1 wicket and Jim did well to pick up 2. Chris inflicted a late run out but they still smashed a huge 357 runs with their opener making 208. It was a great innings but we did bowl plenty were he wanted them. With a couple players missing we were probably always going to struggle. Hopefully it will push everyone to keep working hard and make sure we aren't on the receiving end of such a score again. After tea I opened with Webbe in the absence of James. We did an ok job, passing 50 and seeing off the openers. One of which tried several times to knock my head off. Its probably time for me to bring out my helmet which has been sat gathering dust for a couple of seasons. With the score on 73 Webbe was caught behind. Only Rose knows what she was doing, caught for a duck. Me, Chris and Marten got starts but couldn't go on. Ian though did great. Pretty much on one leg he smashed a fifty which got us 4 batting points. The rest tried their best but against a good team couldn't quite get us to 200. 184 all out was how we finished. Was a tough day but we fought hard and came away with 6 vital points. We need to get as much out of games like this as we can and win the games that we should. So we come up against probably the two best teams in the last two weeks. We have got a run off games coming up where we need to pick up some decent points. Do the basics well and our quaility should see us right. Man of The Match is tough after such a tough game. Chris was brilliant once again as was Ian's batting. But I'm going for Jim Keates who kept going and picked up his first Devon League wickets. Fielding was also tough but he gave his all. Well done to Jim. Hopefully he will learn from games like this as we all hopefully will. We need to move on and start again. We have another tough one against Topsham 1st XI. Lets keep our heads up and go again. Thanks to all for the effort and those who drove, appreciate it as always. After our tough visit to Petrockstowe I hoped this week would be a bit better. Unfortunately the selection process was a complete nightmare again. It really is a struggle and something somewhere needs to change. I don't know the solution but I hope one can be found soon because for the first time ever I'm not only not enjoying Sundays, I'm beginning to not wanna play like most of the rest of the players. That is until I'm involved in a game like this Sunday. Although, it was down to luck that Rose and Pete were able to help out, which shouldn't paper over the cracks!. This did though give us a reasonable side and one that was able to compete, which is better for everyone including the opposition. On Sandfords arrival I did start to worry when first team captain Richard Foan and former Pakistan test player Faisal Iqbal got out the first car to arrive. But fortunately Mr Iqbal hadn't bought his kit. Rose was keen to take on Captaining the side, so she took over. She duly lost the toss and we had to field on a hot afternoon. Her first action as Captain on the field was to ask ME to open the bowling. Seeing Richard Foan wonder out to open the batting I obviously wasn't keen. Me and Rose did though and did an ok Job. An attempted slower ball by me actually got the first wicket. A good catch by Josh at mid wicket. He took an easier one off me this time at cover for the second wicket. Dan and Jim took over from me and Rose and did a good job. The runs were coming around 5 an over. Jim got his first wicket LBW , good job hey Martin. We were all doing ok in the field. Martin and Keith took over the bowling and did a great job. Martin bowled his 8 overs for 29. Keith took the wickets though grabbing 4-28. A really excellent spell. Jim produced a quality piece of fielding running out their set batsman with a direct hit. He then picked up a wicket in the final over after a great catch from his dad. A good solid effort from all. Sandford finished 210-9. We would have to bat all our overs to stand a chance, but at least we had a fairly decent one. Now to teas. What to say? Well I was almost speechless but the word I used was epic. Pulled pork sandwiches just a small part of a cracking tea, thanks to Beth Keates. This season the teas have all been amazing. Anyway back to the game. Rose was continuing to test me when she then insisted that I open the batting. So out I went with James. Both of us struggled to score but we did manage to keep wickets in tact. Somehow we made it to drinks with 60 odd on the board and 10 wickets intact. And with Pete still to come you never know.James was caught behind but had done a great job batting for 22 overs. Rose was at three and she hit a couple good shots, rode her luck a bit and was then run out for 16. Probably my fault so sorry about that. I was then joined by Pete who flew out the traps smashing their young bowler for 26 off his only two overs. After riding my luck a bit I was finally caught at point for 52. The score 121 and still 90 required. As I came out from showering, Pete was strolling back having been bowled but not before smashing 45 runs and getting the score to 177. Martin was joined by Keith who didn't trouble the scorer at all. And then by Josh who also didn't trouble the scorer much. In between though Martin hit some great shots which kept us in with a shout. A wicket maiden had meant 21 runs required from 2 overs. A cracking 4, a five wide and another 4 was an awesome start to the over. A 2 and a final 4 meant 19 off the over. Just 2 to win 6 balls. Two dots then a single from Martin, scores tied. Richard on strike 3 balls to go. Richard is given out LBW. So 2 balls 1 to win and all pressure on Ollie Keates. No need to worry as Ollie smashed the first ball for 4 and a great win. A brilliant game and a well deserved result. The effort from all was awesome. The games is always enjoyable when both teams have a chance to win. Man of the Match is really tough. Literally everyone made a massive contribution to our win. Rose, Martin, Keith, Dan and Jim all bowled great. Ollie and Josh took some good catches. Jim's run out was brilliant. Me and James set things up well. Then Pete and Martin with Ollie's help saw us home. So only one way to go and give a TEAM Man of The Match for a cracking effort. Well Done to all and well done to Rose in her first game as Captain. If a few extras can commit to play a few times, every week will hopefully be like this one was. So hopefully they will. Great effort again guys was a privilege to be involved. Another home game next week. Above are the ones who have already committed. Anyone else fancies it just let me know. Thanks again and must thank Andy for scoring and Beth again for the epic teas. Kentisbeare away was game six . Having been there in the distant past I was aware of the size of the boundaries but still it was a shock, enhanced by the lack of a thirty yard circle on the two straight ones. With a few players missing we were indebted to Dave and Ollie for stepping in. I won the toss which actually makes 50/50 now and decided to bat having previously won the four games we batted first in. James and Webbe opened again and again did a good job. They batted out 10 overs for 44. Due to the small boundaries Webbe was hitting more sixes than fours. The bowling though was good and very accurate from the start. Very few balls to hit and very few wides. James was the first to fall LBW for 16. Rose hit a four and a six before she was bowled for 12. I only lasted a few balls before i was out LBW. Marten lasted for bit but was bowled by their Aussie for 9. Webbe continued on making another 50 but was caught for 56 with the score on 103. That was a big blow and showed how decent the bowling was. Every bowler was decent with no let up. The pressure was kept up throughout our innings. Then a partnership of 60 between Darren and Chris started to get us back on track. Darren had done well but spooned a full toss to cover for 41. The rest tried their best to support Chris. They managed to hold out until Chris had got the team over the 200 mark and also himself to a well made 50. Unfortunately we left 4 overs still to bat which would have given us a bit more of a chance. 203 was ok but on such a small ground and against a decent team, bowling and fielding was going to be tough. Tea was excellent again. So out to bowl we went. Rose opened this time with Chris. Chris did his usual decent job and picked up the first wicket. He did though bowl a few wides which is unusual and unfortunately this week very infectious. The batting was as high a standard a I remember facing in the 2nds. They waited for us to bowl bad balls and then put them away. Darren, Rose, Dave, Gareth and Stevie all bowled a few wides and the odd bad ball. The quality of batting and short boundaries punished them severely. Gareth did get us a second wicket and a sixth point, and Marten was probably the pick of the bowling with 6 overs for 27. They got there in quick time though, 17 overs to spare. They were a really good all round side who performed well. We were below par though and gifting them 50 runs in wides didn't help our cause. There were some positives but probably a game to leave behind and move on. Man of the Match probably just goes to Chris who showed what he can do with his first fifty of the season and a fairly decent bowling effort. So well done to Chris. Webbe continued on his great form and James batted ok and have to say kept really well too. Everyone gave their usual effort, I just think we had an off day and came up against a good team. So thanks to all for the effort and those who drove. Appreciate that. Next week is gonna be as tough I'm sure. It's Honiton away. So I hope we can put in the same effort again and hopefully we can put in a decent performance. It's still been a great start. 4 wins out of 6 is excellent and gives us a great chance of a great season. Thanks to all again. So to match number 5. Another home game this time against Axminster 1st X. A few years ago they were in the same league as our first team, which made me a little wary as to the standard they were at. On a glorious day the Ho! was looking great. And it was great to see loads of kids having a great time at Maggie Luxton's party. So to the game. After a few selection headaches, for change not mine, the team was almost the same as the previous week. Rose and Ollie came in for Cameron and Josh who went with the firsts. I was delighted to win the toss and made the decision to bat on what looked a great wicket. Thanks Martin. That meant James and Webbe could open again. They once again did a fantastic job. They managed to see off the opening bowlers who looked very decent. James just stuck around and let Webbe do the bulk of the scoring. A few extras contributed to a brilliant start and by drinks we had around 100 on the board. James was the first wicket to fall but as last week he had contributed to a great start. He was caught for 22. Rose joined Webbe and hit a couple good shots and stuck around for a bit but was bowled for 13. Pete couldn't recreate last weeks heroics also getting bowled for 7. The bowling continued to be decent but Webbe was continuing on his merry way. He passed 50 and then let loose hitting some big sixes. Marten joined Webbe and helped out with the scoring. Webbe smashed a straight six to bring up a magnificent century. The first century since Ian's in the first game of last season. A great innings which he carried on to 123 before he was well caught on the boundary. I was caught and bowled for 7 which sent Darren out to join Marten. We had passed 200 at this point and I was hoping we could pass 250. This we did thanks to some lusty shots and good running from Darren and Marten.The innings finished with both not out. Marten for 43 and Darren 20. A final total of 284-5 was a brilliant effort. It once again highlighted our long batting line up as again Chris, Ian and Gareth didn't get a bat. This weeks bowling line up was in my opinion superior to Thorverton's last week which means we are improving as the weeks go by. Mainly down to our superb opening pair of James and Webbe. Who knows what could have happened away at Halberton had Webbe been there to partner James. 5 out of 5 springs to mind haha. So in summary we batted great and I was again very confident we could defend it. We were a bowler light with Cameron and Steve in the firsts but still i thought we had enough. Only one word to say about tea epic. Quite a banquet thanks to Mr and Mrs Ball. The strawberry and ice cream a particular highlight. Was just a shame we had to field after. So to the fielding. Chris and Gareth opened as usual. Gareth struggled a bit though so only bowled 3 overs but did pick up the opening wicket caught behind by Ian. Chris was his usual magnificent self. No wickets but just 23 off his 9 was awesome. Rose took over from Gareth and was equally as good as Chris. She picked up the vital wicket of their captain for just 5. The other opener was still in though and looking good. Then came a kind of strange passage of play. We bowled quite well. They were batting well and running well, building a good partnership. But they were very slowly falling behind the rate. We didnt get a wicket for quite a while but they hit very few boundaries. I like to think that we were fielding well and my field placing were good. In our innings Webbe was smashing fours and sixes in the middle part. This is something they didn't do and probably cost them in the end. Darren did well again bowling as did Marten. Darren picked up three wickets. With Gareth crocked Webbe and me would have to step up and bowl some overs. Webbe only needed to get through two overs but due to his excellence he made it through five which was a massive help. Darren and Rose did a great job finishing off at the top end. As for my stint, Ill just say thanks to all the other bowlers for giving me plenty of runs to play with. Even though I got completely smashed, they were never likely to get over the line, needing 60 ish off the last 4 overs was 22 too many. They gave it a good go though and had they gone for it slightly earlier they may have got there. Fortunately they didn't and we won by 22 runs. Fielding was very hard work and we were all shattered at the end. But this did show how hard we had worked to get the result we wanted. Although there was one outstanding performance, everyone made massive contributions to our victory. Without EVERYONE making the same effort we wouldn't have won. So thanks to everyone for that. So to Man of the Match. Straight forward this week. Webbe was magnificent. Two weeks in a row he has helped us pass 250 and to two impressive victories. He topped it off bowling 5 tidy overs. Well done mate was brilliant to watch. Again thanks to all for the effort made and Ollie for helping us out. Thanks to Andy for scoring and of course the Ball's for the great teas. Next week is away at Kentisbeare. They have been scoring heavily recently but so have we. We have only dropped one batting point so far. It should make for a great game. Hopefully we can put out a similar team. Pretty sure we are in second place which is a great effort after five games. Three home wins in a row shows we are making visitor work hard every game. Lets try and do the same away from home.It was another great day to be beside the sea. Start 1:30. Meet 12:30 at the Ho! Finally anyone fancies a game on Sunday please let me know. Loads unavailable so am struggling a little. Any help would be grateful. The fourth game of the season was a home game against Thorverton. Thanks to our new set of covers we were able to prevent 30 minutes of rain an hour before the game from delaying our start. Due to traffic issues Thorverton literally turned up at the start time of 1:30, so we were actually delayed anyway for 20 minutes. We decided to not lose any overs. For the third time out of four I lost the toss and was asked to bat which is what we wanted to do anyway. Finally James had his opening partner back in Webbe. Both were excellent. Webbe back to his usual best and James was continuing on his great form from last week. They both received some abuse from the opening bowler which wasn't nice to hear but I think it probably spurred them on. James particularly coped well and Webbe probably just laughed having seen it all before. Webbe was the quicker scorer as you would expect. He got lucky being dropped but made the most of it and passed 50. James was ticking along nicely and edging his way towards his first Devon league first 50. Webbe was looking good for a century but was caught on 83. Cameron joined James but didn't last long getting bowled on 5. Due to our great start 166 off 32 I decided to send Pete Stevens out to have a go. Disastrously James fell just short again caught on 48. Another great innings though which gave us a cracking start. I then joined Pete and managed to strike a couple of lusty blows in making a quick fire 20. Marten was then bowled for 2 which sent Darren out to join Pete. This is where Pete took over launching sixes all around the ground. Seven sixes and two fours in a brilliant 64 not out. He was ably supported by Darren who hit a couple good shots making 25 not out. The last ten overs yielded over 100 runs. A magnificent effort from all. The best thing for me was that some good experienced batsmen in Ian and Chris and Gareth weren't even required. 283-5 was a top effort, one which I was confident we would defend. My main concern was the weather. Thanks to Pete and Sarah we had another awesome tea. So out to field went. Gareth and Chris opened up and did great. It was clear early that they weren't getting near our total and they didn't really try. I think they were hoping for rain. It did rain a little but it soon cleared. Chris picked up 3 wickets. One was an excellent catch by Josh. Marten bowled through his overs for just 33. Cameron was excellent again, carrying on from last week. 9-4-16-2. Another great spell. Darren then took over from Marten and was great also. 3-19 off his 9. Reluctantly Josh took over after Cameron , but did really well. 1-12 off his 4 overs. We couldn't quite bowl them out but 9 wickets meant 19 brilliant points which puts us second in the table. Everyone fielded great and we got through our overs really well. They ended on 110-9. Man of the Match is one of the toughest decisions I've had. Webbe and James were awesome. Pete was amazing too. Cameron, Darren and Chris were all excellent bowling. Everyone made a great effort. In the end though I have gone for Pete. His innings was spectacular and took our total from a good one to an amazing one. It gave our bowlers so much more to play with and everyone was on a high at tea. Really well done mate, its was spectacular to watch. Next week we are home again to Axminster firsts who I'm sure will be tough. But if we play as well as we have been we should have a great game. In my opinion we have been getting slightly better each week. Hopefully that will continue. So thanks to all for the effort, its been a great start. Thanks to Dave for umpiring and also Pete and Sarah for once again excellent teas. Now to thank everyone who stayed on after. I'm not gonna say anything about the football, I'm pretending it didn't happen. Will just thank Cameron and Josh for sorting out the tele. I had a great time anyway. Must thank Chris and Hannah for running the bar, Richard for arranging the pizza and the Kings for saving me from a drunken walk home. The singing and late night trivial pursuit was great. So again thanks to all for coming and if your really lucky I might do another ten years haha maybe. So to game two. Another new team for me, so unsure again on the standard we would be facing. It was a reasonable day weather wise and another decent wicket to play on. Early in the week i had a slight selection headache but by Friday it had worked out quite nicely in the end. On winning the toss for a change I decided to see how well we could bat. At 5-2 after 7 overs I was beginning to regret my decision. But I needn't of worried as James Hayter and Fred put on a 60 run partnership in quick time. When James was caught for a well made 21, I joined Fred. 85 at drinks was good. Fred batted well and passed fifty. He probable should have made it to a century but eventually missed a straight one on 67. That brought Mr consistency Ian Hayter to the crease. He did what he always does. Waits for the bad ball and punishes it by smacking it to the boundary. I made a very scratchy 17 before I was caught at mid on. Darren joined Ian and both hit some great boundaries to keep the scoreboard ticking along nicely. I was hoping to make it to 200. With 5 overs left we needed 35 runs. Darren was bowled for 22 and Chris perished LBW 1st ball. That brought Gareth to the crease. With 2 overs to go we were 191. Gareth smashed a beamer over the pavilion to bring up the 200 and maximum batting points. 1 over left 205. Ian then smashed 24 runs off the last over finishing with a huge six off the last ball. 229 was a great total in the end. One which with the bowling we had I was very confident off defending. So after our excellent tea thanks to Hannah Luxton we went out to field. I opened up with Fred. It didn't go great. Fred did ok but couldn't manage a wicket. I did manage to get one but didn't bowl great. Several wides and boundaries conceded. At the tenth over Ian informed me that he was possibly going to faint! This meant I had to take over keeping, Chris came on to bowl and we had ten fielders for a few overs. In a small way it worked out ok. Gareth picked up a wicket caught behind by me. And Chris was keeping it tight at the other end. With 95-2 at drinks the game could still go either way. Rose took over from Gareth and Marten from Chris. Both did great jobs, hardly going for a boundary. Rose picked up a wicket bowled and Marten grabbed two. One a great catch by Stevie off probably their best batsman. Darren came on and continued the good work taking another wicket caught behind by Ian who was back on the field. We only took six wickets but we were able to restrict them particularly from scoring boundaries. The one concern was the amount of wides. Everyone bowled a few and this was continually keeping them in with a shout. In the end though our total was too much and they finished 193-6. An 18 point win and another great TEAM effort. Several good batting efforts and 7 bowlers used means everyone played a part. The standard was higher than last week and after seeing Halberton chase 286 against Kentisbeare I'm convinced it will only get higher again. We have been up to the task so far with two decent wins even though we haven't been at our absolute best. Hopefully we can get better as the weeks go by. So to Man of the Match. As I said everyone did well. James batted for 26 overs which can only do him well. Fred and Ian were the class batsmen both making great fifties. Willco and Gareth both added some good late order runs. Rose, Darren, Marten and Chris all bowled reasonably well. And everyone did a good job in the field. But for me once again the star player has to be Ian. His extraordinary late order hitting got us a total that we comfortably defended in the end. Without those last 3/4 overs things would have been very tight. So well done again to Ian. I hope next week someone else can outshine him because it will get boring giving it to him every week HaHa. So finally a great team effort and two wins in a row. It was frustrating at times particularly in the field but still a very enjoyable game. Thanks to all for the effort, very much appreciated. Thanks to Andy for scoring and of course our wonderful tea lady Hannah for the always excellent teas. Halberton away next week. Another tough game but two first teams played and two wins. It's an early season top of the table clash (1 and 2) so hopefully it will be a great game. Another great day to be beside the sea. Right then where do I start. I thinking that I'll wake up at some point and yesterday won't have happened. I'll explain the best I can. So on a glorious day I was delighted to get a call from Dave Staddon who offered to umpire. One less thing for me to worry about.Knowing that we were having to play on an artificial wicket I was dubious about how things were going to pan out. It was a reasonable trip down and on arrival I was optimistic as the changing facilities were great.But when we walked the few hundred yards to the pitch it wasn't a great sight. The setting was fine but the outfield wasn't great. Plenty of cut grass everywhere, several holes and very soft. No pavilion meant dragging our kit bags to the side of the pitch. The toss went the way it usually does and we were asked to have a bat. I was a little worried about how the artificial would play and about what standard of bowling we would be facing. Webbe and James opened up and did well. I needn't have worried about the standard of bowling. Several no balls and wides kept the score ticking over. Due to the soft outfield and grass cutting everywhere it was almost impossible to hit a four. Fielding was never going to be easy but they weren't the best. Webbe was dropped and several others went down throughout the innings. James was given out LBW which sent Marten out to join Webbe. Both did a good job even though it was difficult to score. Webbe hit a six but was out for 31. I didn't last long but that gave Ian the opportunity to bat. He did a great job. Several shots that would have been four anywhere else stopped just shot of the boundary which meant lots of twos were run. Marten fell just as he was getting going for 21.Ian was joined by Darren who although a little lucky did a great job supporting Ian and carried on when Ian was finally out. Ian scored a magnificent fifty which gave us a great chance of making 200. Pete hit a couple lusty blows as we edged towards 200. Darren fell for a brilliant 37. So with 2 balls to go and the score on 199, only Pete and Steve know how they didn't managed the 1 run we needed. Still it was an excellent effort on a wicket that was quite unpredictable. A few took off as Ian found out when struck on the hand. Knowing that our bowling attack although missing Jack and Chris was much better, I was very confident we could defend our decent total. Tea was decent and then came having to field and bowl in trainers. Something I haven't done in a long time. Gareth and Steve opened the bowling. It was clear early that they weren't going to get near our total. 18 overs without a wide is something i haven't seen ever i think. Gareth struck first knocking over the stumps on springs. I then took a catch off Gareth for the second wicket. Steve knocked over the Stumps again for the third. A good catch from Josh gave Gareth another wicket. Steve bowled the most economical spell i have ever seen 9-7-4-2. Webbe took an excellent slip catch to give Steve his second wicket. A great opening spell from both left Exwick 31-5. The unpredictable bounce was causing Ian a nightmare behind the stumps.Byes top scored and one even hit the helmet for 5 penalty runs. Darren took over from Gareth. Although he bowled the only wides of the inning he did a great job and was finally rewarded with a wicket. Cameron at the other end was excellent and picked up three wickets two caught and one LBW. Marten took just 2 balls to finish things off with Gareth taking the catch. 64 all out and 19 excellent points.In the end a potential slip up was overcome well. It was a great all round team effort. Man of the Match has to be Ian for his great batting effort and he did a great job keeping in tough conditions. So well done to him but everyone was great. We all fielded well in the conditions. Steve bowled excellently as did Gareth, Cameron and Darren. Darren also batted great as did Marten, Webbe and Pete. So again a great effort from all. If we keep it up we will have a great season. I am convinced the standard will get higher so we will have to keep our standard high. Well done to the first team who pulled off a dramatic last ball victory. Thanks to Dave for umpiring and to those who drove. In the end a great day which I hope we can repeat next week. Finally its here, the 2018 season. The snow has gone and finally the sun is starting to shine. This year as with every year I'm looking forward to it and am very optimistic about our chances. The regulars are here as always and we have a couple of old heads making reappearances. So all is looking well. Or is it? No overseas means no Jack Ford and without Chris Luxton for a few weeks, both are massive blows. Injuries holidays and work commitments are just some of the issues we will face. But we will hopefully be able to make use of our reasonably sized squad and still be a decent side. Hopefully everyone will be keen to play when required. This season will be an interesting one for the seconds as we will be coming up against plenty of first XIs. Into the unknown we will go. We will find out just how good or not we are. I'm confident that we can have a great season so long as we give our all and enjoy every game. So long as we concentrate hard and do the basic well I'm sure we will be fine. Regular commitment to playing will play a major part in how well we do. Being able to select the same side every week is great for consistency and usually brings positive results.Knowing your role in the team help greatly with individual performances.I have the feeling that every game is going to be tough and that our MANY victories will be hard earn't and very well deserved. One slight blessing due to the restructure is that there will be much less travelling than normal. Most trips are around the hour mark except for the dreaded Axminster. Some new grounds to visit which will be interesting. Its always nice to visit new clubs but your always wary of what you might find. Particularly wondering what the wicket will be like. Sometimes we realize just how lucky we are. So in summary i am very much looking forward to the season and hope everyone else is too. As I said, if we work hard do the basics right and enjoy ourselves we will have a great season however it goes. Must not finish without thanking Martin Hockin, Andy Davies, Rod Hannam and everyone else who work extremely hard to provide us with wickets and facilities we take for granted weekly.As I said very few places we go match up. Also must wish the first team well on their resurrection into the A Division. I along with the whole club I'm sure hope they have a great season. And finally as some will know its my 10th season and coincidentally my 150th game as captain. I have decided to celebrate this fact with a beer/cider or two and a pizza (Domino's) on 26/05/18 after our home game. Although the firsts are away I'm hopefully some will be able to make it back and help me celebrate as most will have played seconds since I've been captain. It's not a party just a celebratory beer or two. As always all and everyone are invited. There is now extra incentive to come and help me celebrate. There is a reason I have left this report till tonight. I can now confirm that the Mighty reds of Anfield will be competing in the Champions league final which just happens to be the same evening. Hope to have the game on at the club and so a double celebration will I'm sure be in order. I'm also sure everyone will want to witness this historic game.